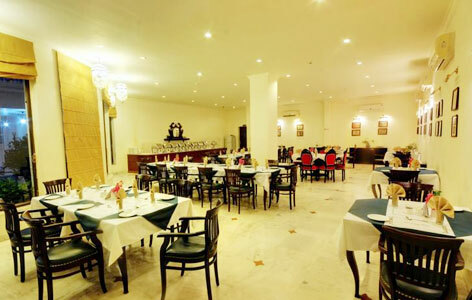 "The heritage hotel in Bundi, Hadoti Palace Bundi is a delightful hotel because of the unmatchable views of Taragarh fort that are visible from the hotel's roof. The stylish colonial architecture is hard to miss when staying in here. Along with beautiful surroundings and gorgeous locations, the hotel also elates guests with luxurious accommodations and fine dining places. A lot of entertainment activities are also organized for those who stay in here. The heritage building, Hadoti Palace in Bundi was built bas a residential property for the Royal Family of Badnore. The historical Badnore family is known because of the famous battle in 16th century between Jaimal, an ancestor of Badnores, against the mighty Mughal Emperor, Akbar, during Chittorgarh’s siege. Another famous heir to the Royal family is the saint and philosopher, Princess Meera Bai who devoted her life in worshipping of Lord Krishna. 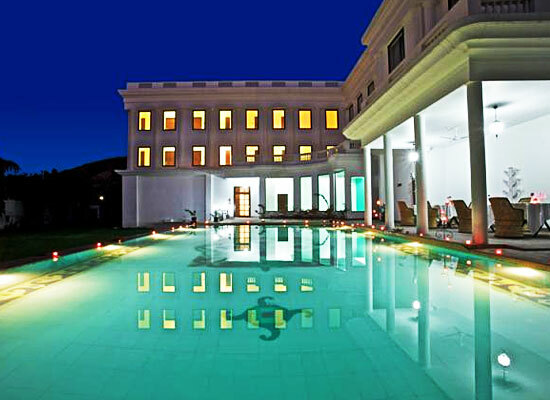 All the 28 rooms in the heritage hotel of India, Hadoti Palace Bundi, are another name for luxuriousness and comfort. The accommodations are divided into 4 Suites and 24 Deluxe Rooms. 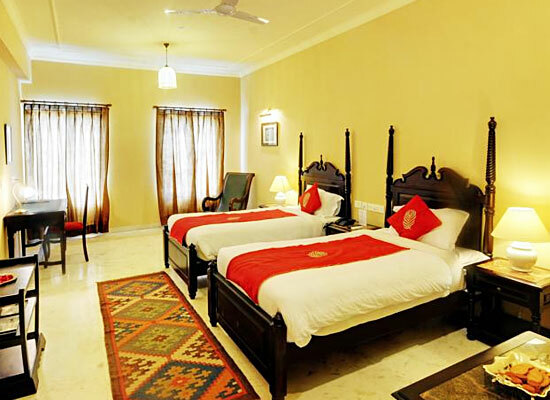 All the rooms are installed with state-of-the-art contemporary amenities. 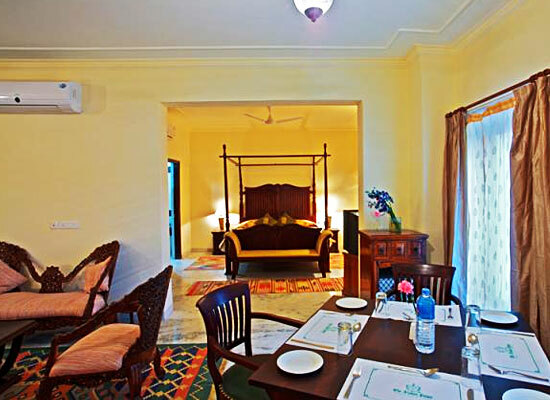 The traditional Rajasthani frescoes, colors and décor of the rooms set the mood for a stay in a heritage haveli. 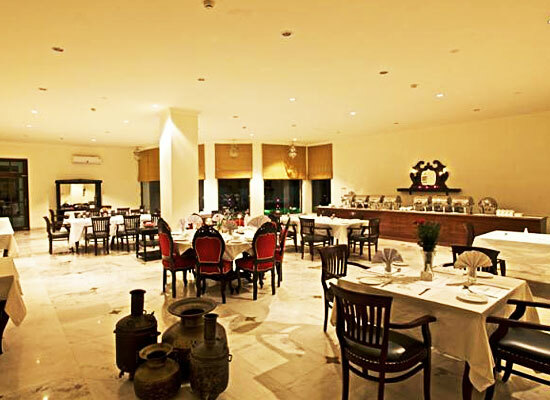 Taragarh Restaurant: The multi-cuisine restaurant is mainly known for its traditional Rajasthani and Indian delicacies. Tourists also get some exotic selection of Chinese and Continental dishes as well in here. Pool Side Restaurant: Guests love dining in here, sitting by the isolated pool and enjoying the romantic surroundings. Dome: This is where romantic couples can rekindle their love for each in a special candle-light dinner that serves multi-cuisine meals prepared and cooked as per whims and requests of the esteemed guests. The town of Bundi has an intriguing history. Earlier, it was called as “Bunda-Ka-Nal", before Rao Deva Hada captured Bundi by defeating Jaita Meena in the year 1342. He named the princely state as Bundi and renamed the nearby area as Hadoti meaning thereby “land of great Hada Rajputs”. Various tourist attractions that are sacattered around this small town is responsible for giving this district a special place and distinctions in the minds and hearts of tourists.